Lenco Photo Products, Inc. was a US-based distributor of photographic products, best known for their Lentar branded gear. The earliest reference found to date is a mention in the September, 1947 issue of Popular Photography which calls the company Lenco Photo Sales, based in Detroit, MI. By 1960 most printed references to the company call it Lenco Photo Products and place it in New York, NY. The company later moved its base of operations to an office in Chicago, IL. The company had offices in a number of states including California, Illinois, Michigan, New York and Texas. At some point prior to 1968 Lenco became a wholly owned subsidiary of GAF. In June of 1968, GAF combined three of it's subsidiaries, Lenco Photo Products, Inc., Gem-Klein Photo Corporation, and H. A. Behm and Co. to create a single photographic product distribution company. The combined company retained the name Lenco Photo Products, Inc.
A 1971 issue of the Society of Photo-optical Instrumentation Engineers Journal states that Jamce C. Murphy has been elected a vice president of GAF Corporation, and president of its subsidiary company, Lenco Photo Products, Inc. The Lentar brand names were used at least through the 1980s before being retired. The Lenco product line includes lenses, extension tubes, exposure meters, enlargers, 8mm movie cameras and projectors, flash and lighting equipment, photographic accessories, and binoculars. Lenco was not a manufacturer. They sold rebranded equipment made by other manufacturers. 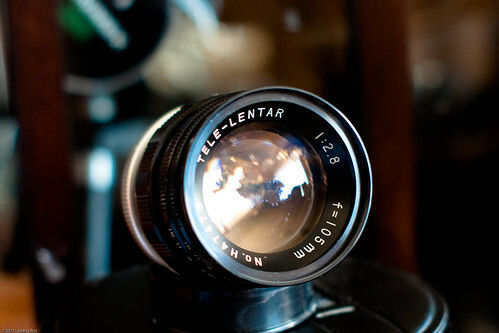 Many of the Lentar lenses are said to have been made by Tokyo Koki. In addition to selling rebranded products, Lenco was also a distributor of Ricoh products in the United States. This page was last edited on 9 March 2018, at 06:21.